© Kate Robinson. All rights reserved. 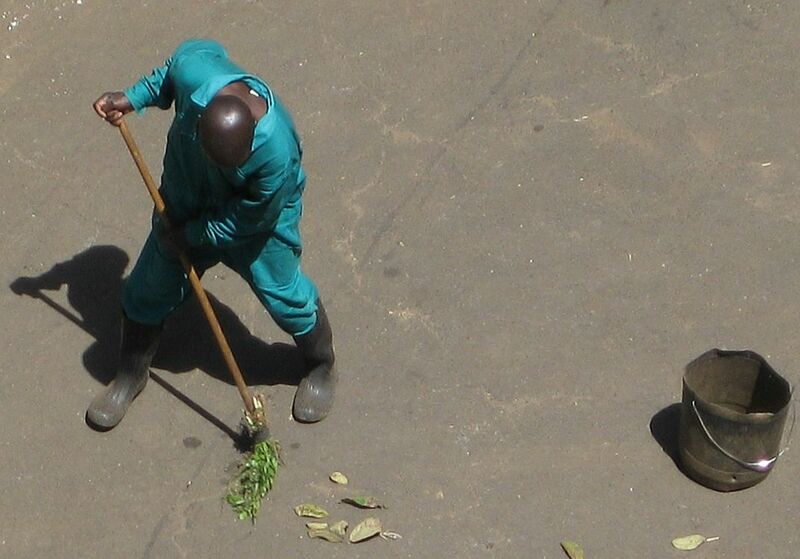 A maintenance worker sweeps with a homemade broom and bucket at the Milimani Hotel. Date Uploaded: Nov. 27, 2012, 5:34 p.m.